A man’s plan to propose to his girlfriend has ended with a mobile crane smashing the roof of a house and forcing the evacuation of two others in the Dutch town of IJsselstein. The man had wanted to surprise his partner by descending in front of her bedroom to sing her a song and pop the question. 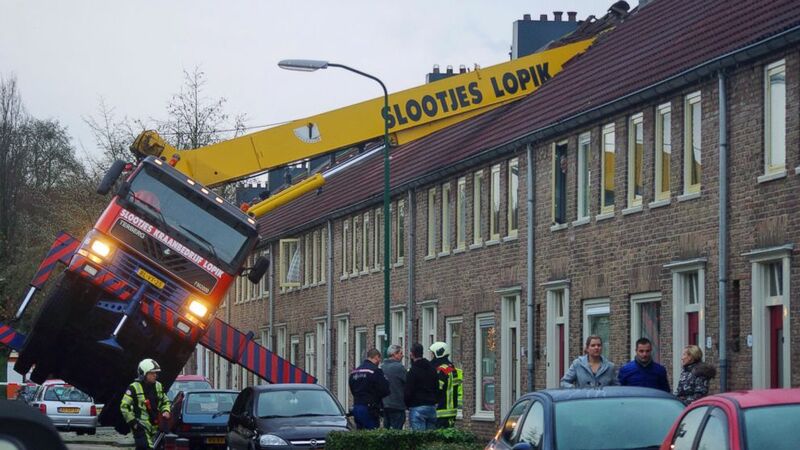 The unsecured crane he used instead toppled into a neighbor’s house. The woman still said yes, Dutch media report, and the couple are now said to be celebrating in Paris. Following the initial impact, more damage was done when the crane fell again during an attempt to right it. Residents in nearby properties were evacuated but no one was injured.